How much money is left after meeting the basic nutritional needs? At the beginning of every year, minimum wages are updated in many countries. However, the concept of a minimum wage is not ubiquitous: we won’t find the lowest legal remuneration in Nordic countries, Italy, Switzerland or Singapore. Malaysia is among the countries that ratified the United Nations Minimum Wage Convention, so this concept is well-known and practised there. Nevertheless, the question whether a minimum wage is high enough to allow us to meet the basic nutritional needs still remains. 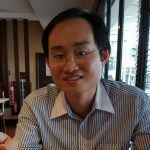 Picodi.com Analysis Team decided to take a closer look at prices of the 8 universal food groups in 52 countries and confront them with the current minimum wage in respective countries. It turns out that in some countries the minimum wage is barely high enough to purchase a modest nutritious food basket. How does Malaysia look in comparison to other countries? For the purpose of this report, we created an example of a shopping basket filled with items from the 8 universal food groups: bread, milk, rice, eggs, cheese, meat, fruits and vegetables. Even though this list is short and frugal, these products meet the nutritional needs of an adult and the prices are constantly monitored around the world. In Malaysia, for a basket filled with basic items from the list above, you will have to pay around RM 361.29. Since 1 January 2019, the minimum wage in Malaysia has been RM 1,100 (net: RM 971.65). 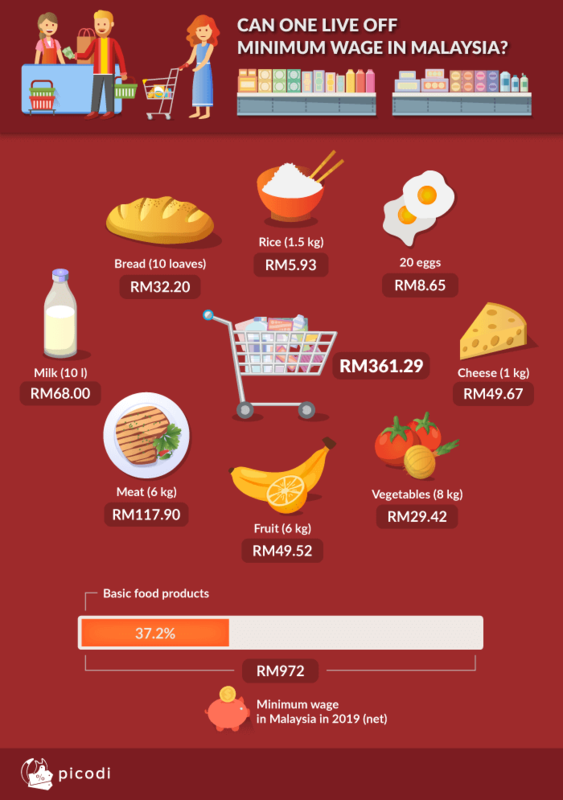 Considering the average prices of food in Malaysia, expenditure on basic food products makes 37.2% of the minimum wage, which places Malaysia 39th on the list of 52 countries. According to our ranking, Australia, Ireland and the United Kingdom are countries where the minimum wages are the most favourable. Taking into account local prices, employees with the lowest possible remuneration will spend 7% of their salary for the very same basket as people from other parts of the world. Among countries that placed lower than Malaysia were China (41st place), Vietnam (47th), Thailand ((49th) and India (50th place). The Philippines and Nigeria are in the worst situation, though. The minimum wage in Nigeria is so low that it doesn’t cover the costs of even the most basic shopping basket. This report uses the latest information about minimum wages rates published on official government websites from 52 countries in Europe, Asia, North and South Americas, Africa and Australia. There are a few countries which update their rates on a different date than 1 January. In Greece, the minimum wage hasn’t changed since 2013. The food basket used for this report represents the average prices compiled by thousands of numbeo.com users. For currency conversion, we used the average exchange rate for December 2018.